Smile Design is a concept used to mean the creation of a new smile which works in harmony with your facial characteristics thanks to state of the art 3D technology. 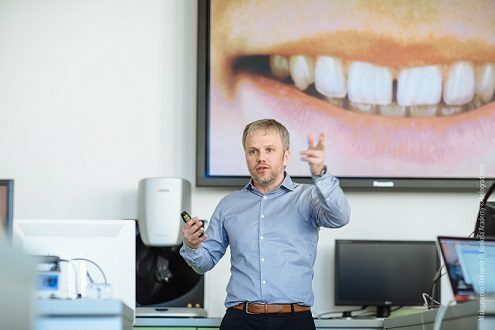 During the last decade, the term ‘smile design’ has gradually become commonly used in the ever more popular aesthetic dentistry. With the advancements in modern dental technology and one-day treatments, it is now possible to restore an entire smile in just a single visit to the dentist. Smile design is a dental procedure which artistically creates straighter, whiter and more beautifully natural looking smiles. Smile design can fully restore your dental health and appearance regardless of the original state of your existing teeth. This not only includes veneers as an aesthetic treatment as many people think, but can also include crowns, implants and gum treatments too. Contrary to popular belief, smile design is used to enhance the smile of both men and women. The goal of the smile design is to make sure you are well informed about the results you can expect, ensure your comfort during the procedure, and finish with an artistically created yet totally natural looking, healthy smile. 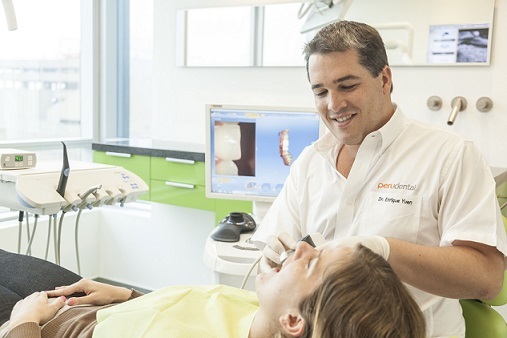 The first step is the consultation which we use to perform an in-depth evaluation of your smile with 3D x-ray images. These images are important as they show much more detail than a regular flat x-ray, with the possibility to rotate the images through 360 degrees to visualize and evaluate every aspect of each tooth, ensuring an accurate and correct diagnosis. Professional photographs of the teeth and smile are also taken so that Before & After images can be kept on file and shared with you. 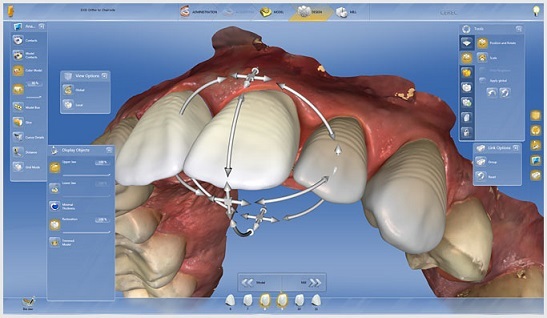 These images also assist the doctor in the smile design phase during the explanation of treatment goals, pin pointing how each tooth surface will be improved. Finally, the smile design treatment can then begin. Because our dentist uses 3D technology, this means that every tooth is custom made in-clinic, giving the doctor 100% control over the whole procedure from beginning to end, making any final changes and adjustments quickly and without delays. Each tooth is designed in 3D, made on a 3D printer from a pure ceramic block and then placed in the patients mouth. A typical smile design treatment often involves teeth whitening, between four and ten veneers on the upper front side and possible restorations for cavities on other teeth. Missing teeth are restored with the placement of dental implants, and gums are contoured with a diode laser to give a smoother smile line with healthier gums. In most cases, treatment is completed in just one day. This is possible because no impressions are taken, no external lab is involved and no waiting is necessary. Actually, the specialist takes a fast and comfortable 3D scan of the mouth with a special optical lens, designs each tooth using 3D software with the computer, and then makes the tooth in just a few short minutes. Gone are the days of messy impressions and waiting weeks for lab work to be complete for a ‘test’ of the new teeth. Today, 3D CAD CAM technology makes this process more effective and much more comfortable for the patient. Because each of us are unique, Smile Design is now a very personalized treatment and something our specialist is very passionate about, custom creating every tooth to give the right shape, contour, color and smile line for a totally natural looking final result. If you are interested in Smile Design Dentistry, please ask us for more photos of cases completed which we can send to you.